You must exempt yourself by registering your property before March 31st of 2019! Chances are, you’re one of the 99% of residents who will need to register themselves to avoid being taxed. Perhaps you’re wondering why this tax was put in place…? 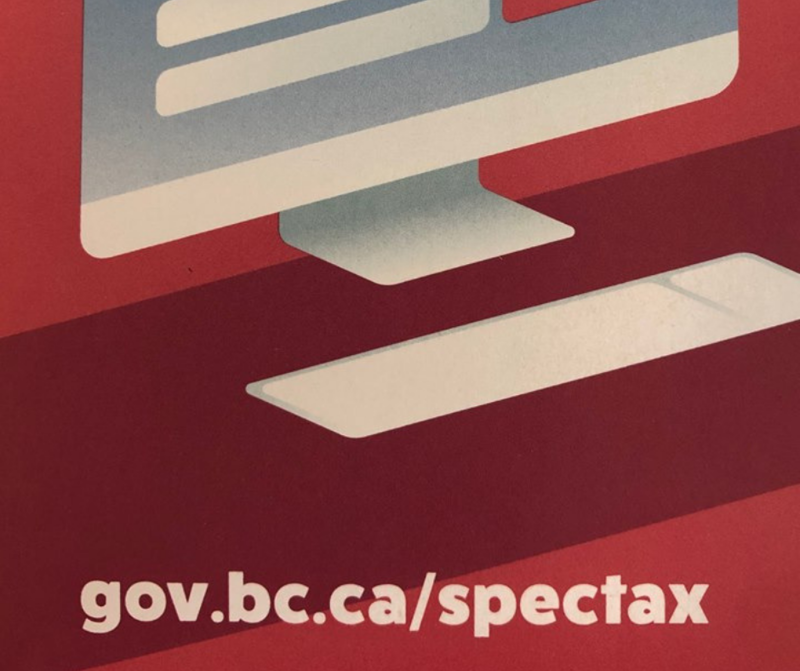 The speculation and vacancy tax is an annual tax that will be paid by some residential homeowners in British Columbia in designated tax areas. This measure was designed as part of the government’s 30-Point Plan to improve housing affordability in our province and to discourage property owners from having vacant homes in our province. There are other inclusions and exclusions you’ll want to familiarize yourself with too; you can contact us for the full breakdown or visit their website to learn more. You should receive a letter in the mail with the information you’ll need to register your property declaration by mid-late February. If you HAVEN’T received this by late February, you’ll want to reach out to the government of BC and ask them for the information you need. 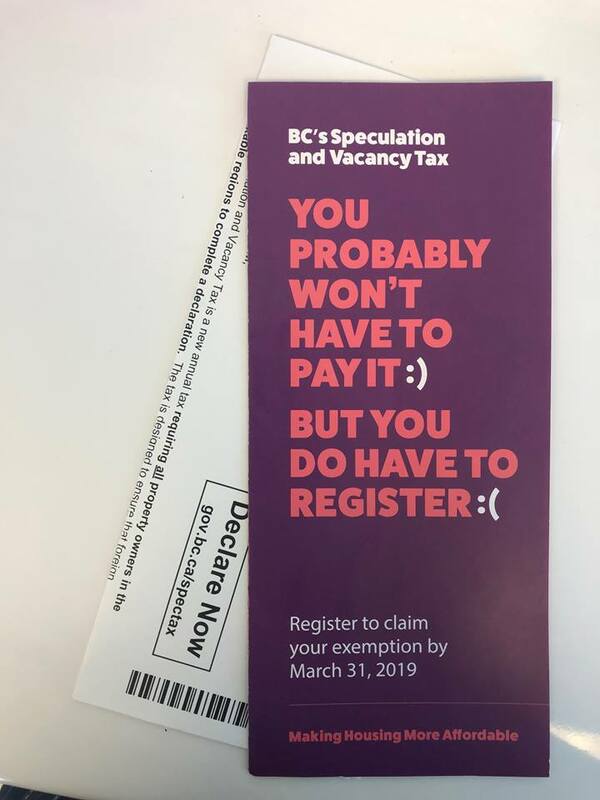 Once you have the letter or the information you need, you must register your property before March 31st, 2019. You can do this by phone or online, although it’s easier to do online. And What if Your Property Has More Than One Owner? Even if the other owner is your spouse or partner… a separate declaration must be made for each owner. For more information, be sure to check back to their website. The speculation and vacancy tax rate varies depends on many different factors, including the owner’s tax residency and whether the owner is a Canadian citizen or permanent resident of Canada, or a member of a satellite family. As well, the speculation and vacancy tax applies based on ownership as of December 31 each year. So if you’re NOT exempt, you’ll want to check out some of the FAQ’s on the government’s website here. There’s a ton of great resources, and we’re always here to help you, too. If you’re a homeowner in the Fraser Valley (and beyond) and want to learn more, we welcome you to get in touch anytime! Grand Opening for Oxygen Yoga & Fitness Willoughby!